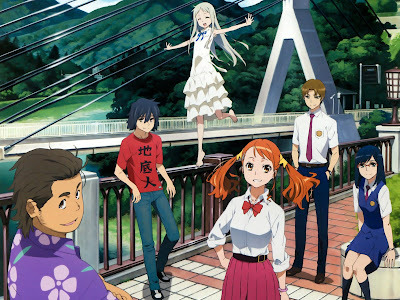 [Source: AnimeNewsNetwork] A live-action television special based on the anohana: The Flower We Saw That Day anime will air on Fuji TV this year. Nijirō Murakami, the oldest son of 41-year-old actor Jun Murakami and 43-year-old singer UA, will star. The 18-year-old actor had appeared in Takashi Miike 's live-action As the Gods Will horror film and garnered his first starring role in Still the Water (Futatsume no Mado) film, will ran at the Cannes Film Festival last year. 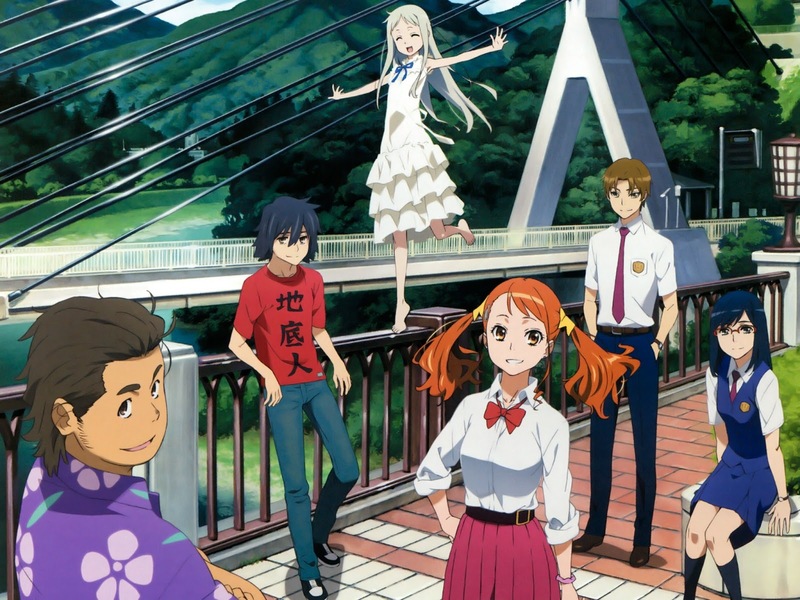 The original Spring 2011 television anime followed several childhood friends who try to reconnect in high school, after drifting apart due to tragedy five years earlier. It inspired a manga and a 2013 film sequel. 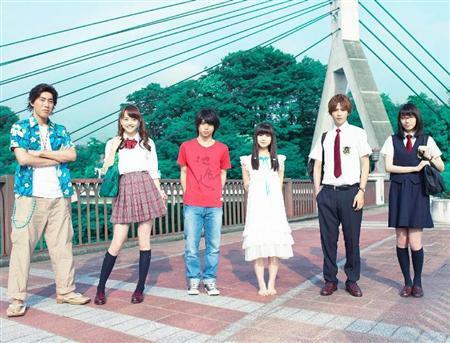 Playing the six member of the "Super Peace Busters" club are (from left to right in the photograph above) 21-year-old Yūta Takahata ( The Eternal Zero ), 18-year-old Airi Matsui (live-action Yamada-kun and the Seven Witches , 2014's GTO , Hell Teacher Nube ), Murakami, 14-year-old Minami Hamabe (live-action Ace Attorney ), 20-year-old Jun Shison ( Ressha Sentai ToQger ), and 17-year-old Marie Ītoyo ( S -Saigo no Keikan-, Nobunaga Concerto ).